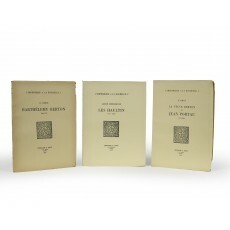 Three volumes (27 cm), I: 139 (1) pp. II: xxxviii, 168 (2) pp. III: 126 (1) pp. Publisher’s printed wrappers. - The output of the presses of La Rochelle, in the years when that city was the capital of French Protestantism. 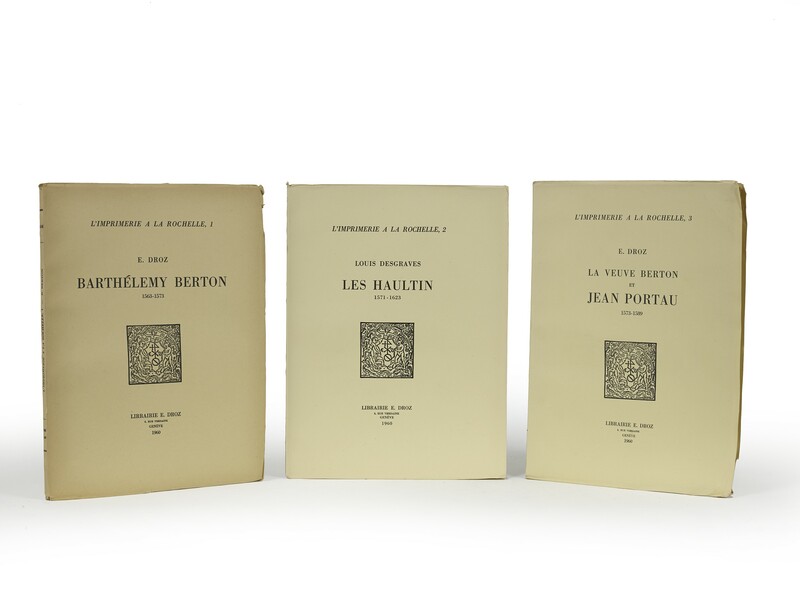 Most of this production was clandestine and the authors have made an intensive study of the typographical materials employed by La Rochelle’s printers; very numerous text illustrations substantiate their assignments. ¶ Fine set with minimal traces of use and no marks of ownership.